Clear and actionable goals help students with special needs access standards-based instruction. Terri Pitts, Program Administrator, Michelle Murer, Executive Director of Student Services, and Deb Miller, Program Administrator, from Reynolds School District in Oregon came to Goalbook’s 2018 NYC User Symposium with a desire to elevate the instructional practice of the special education teachers in their district. They came to the conclusion that students with special needs at Reynolds were underperforming on exams, being placed in restrictive settings, and being retained because the data used to inform their IEPs weren’t adequately connecting goals to standards. The issue was not whether or not teachers were delivering quality instruction—the issue was that there was a discrepancy between what mastery looked like according to the standards versus how mastery was being defined on IEPs. 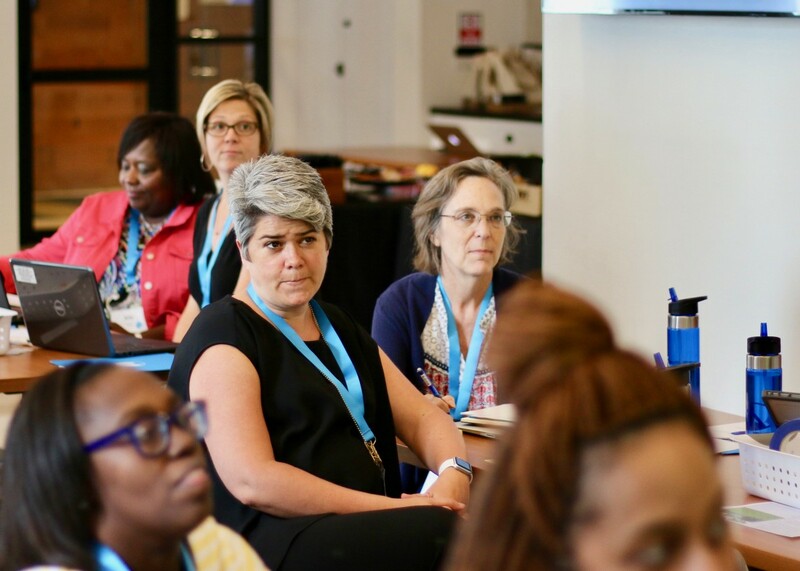 All of the teams that attended the symposium had the opportunity to work directly with a Goalbook team member to get a deeper understanding of Goalbook’s philosophy behind the connection between rigor and access. We believe that ALL students should be expected to engage with instruction at the most rigorous levels. We also believe that students must be provided with the appropriate level of scaffolding in order to reach those high levels of rigor. Our tools help you to do both. What emerged during these conversations was the notion that, in many cases, teachers do in fact teach at the highest levels of rigor but they may not provide the appropriate scaffolds that students need to access instruction. In the case of Reynolds, it appeared that the converse was true. Teachers may have been providing access to instruction but the level of mastery at which students were expected to achieve was not at the most rigorous levels expected by the standards. Every team in attendance was given an in-depth product overview that introduced them to all of the product features. Goalbook facilitators were available to answer any questions as well as give examples of how users have already applied product features in various contexts. Teri, Michelle, and Deb identified a couple of key features within Goalbook Toolkit that could help them address their organizational challenge of students not meeting the standards. Their goal is to train strategic individuals with their organization to teach teachers how to create data-informed goals that help students reach the most rigorous levels of mastery. The Present Levels Wizard in Goalbook Toolkit helps teachers make the connection between rigor and access by providing teachers with the most critical data about students that will inform where to start setting goals. The Anchor Page feature in Goalbook Toolkit will help Reynolds teachers cast a line back to students’ present levels by providing intermediary objectives based on research-based practices and Universal Design for Learning. They also provide teachers with teaching materials, instructional supports, and assessments so that they can immediately take action towards implementing research-based instruction.